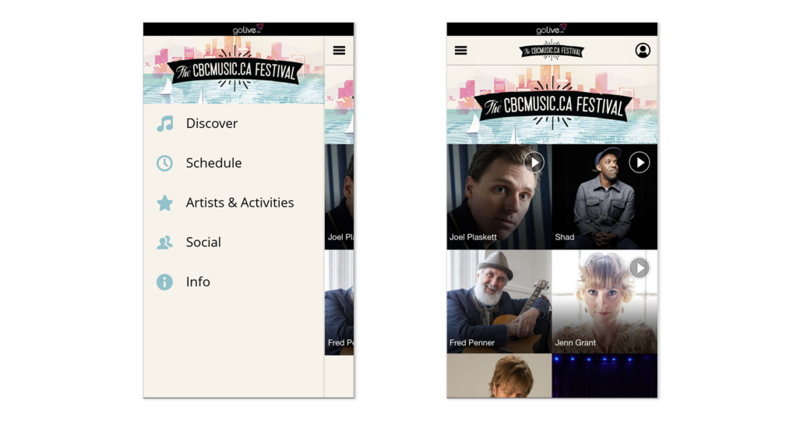 festival apps and display a user-friendly event calendar on their website. 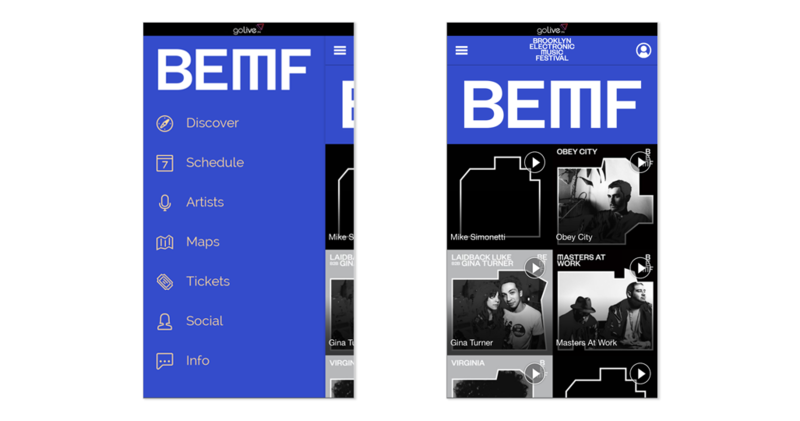 Create a full-featured festival app that fans will love to use, and customize the look to match your event’s branding. 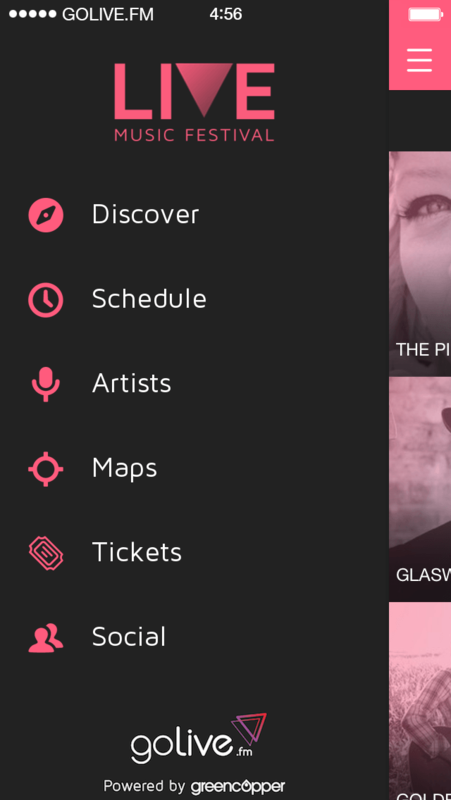 Prioritize acts by listing headliners first while enabling fans to browse acts, listen to excerpts, and read artist profiles. 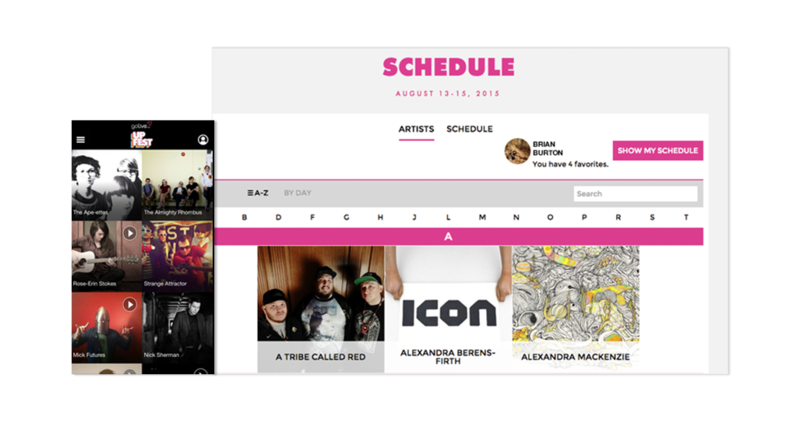 Fans can read bios, see show times, listen to tracks, add to their personal schedules and share an artist’s profile page. 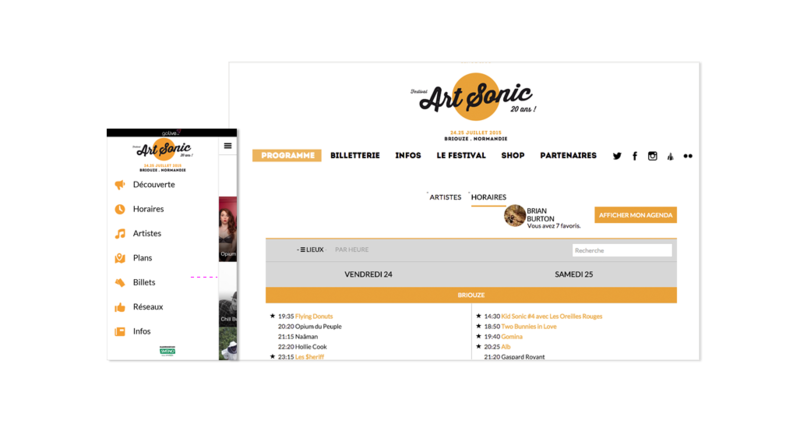 Attendees can sort the festival schedule by time, venue or custom tags that you have applied to specific artists or shows. 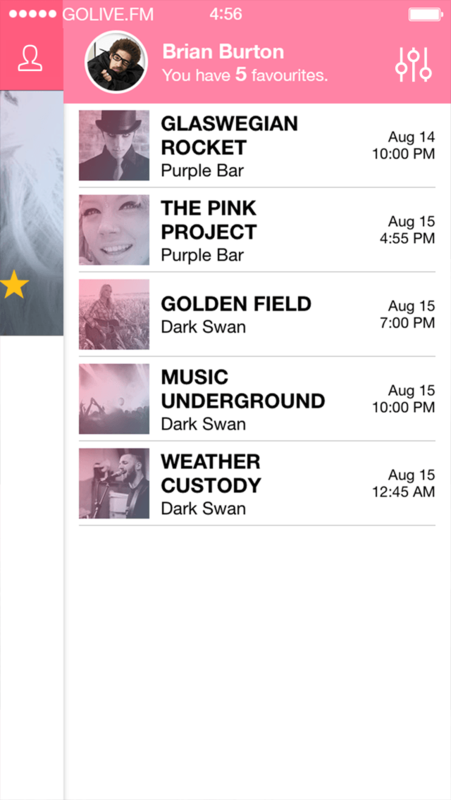 Artists saved to a fan’s personal schedule are seamlessly synced between the festival app and website. 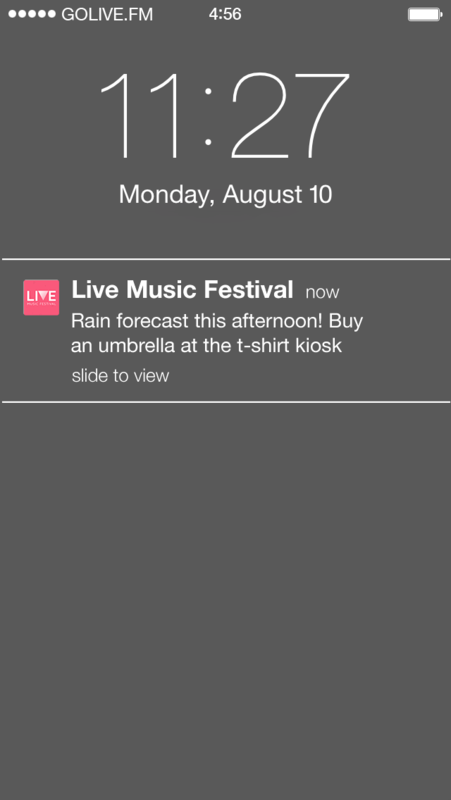 Festivalgoers then receive showtime alerts for each of their favorite artists. 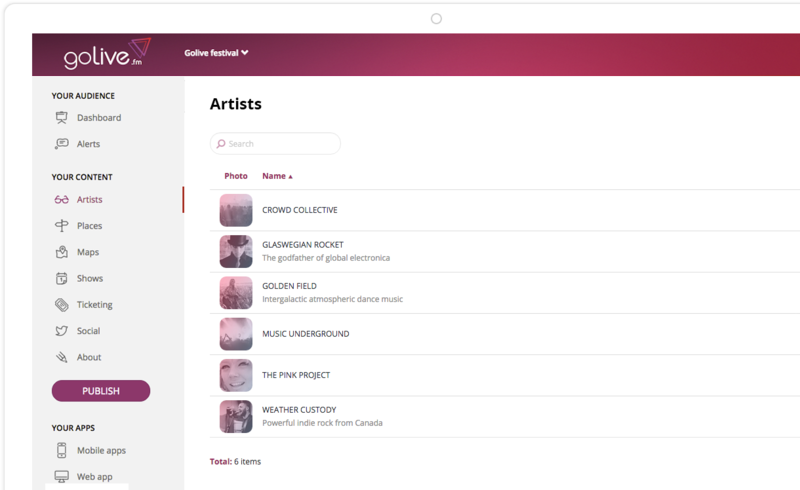 Fans can preview tons of tracks by their favorite artists. 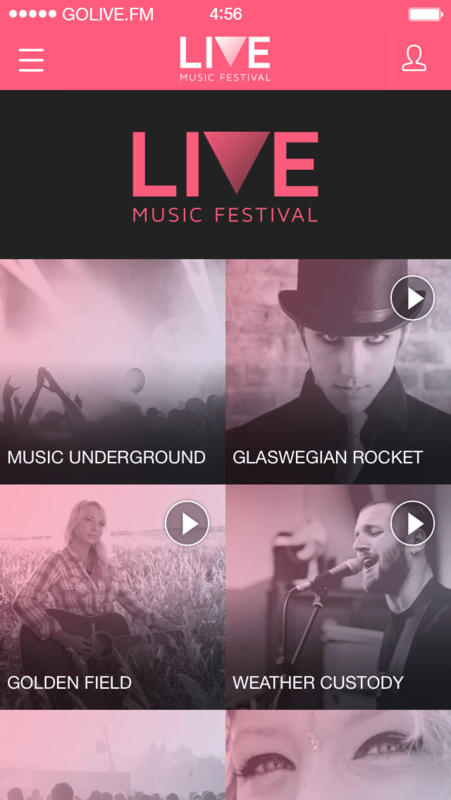 The app is compatible with most popular streaming services, such as Spotify, Deezer and Soundcloud. 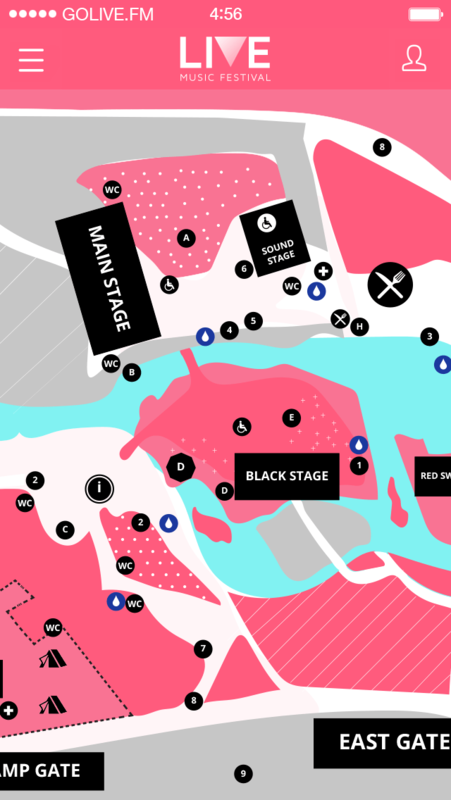 By geotagging festival venues and stages on a Google map, organizers can create a shareable map for festivalgoers to locate shows in relation to their own position on site. 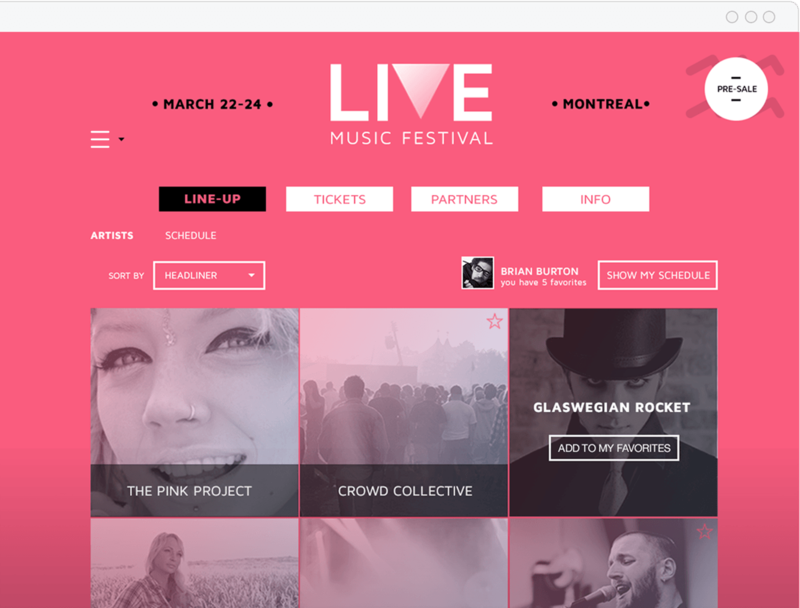 Add your festival’s Facebook page, its Instagram and Twitter feeds, or create a hashtag to display a live fan tweet stream. 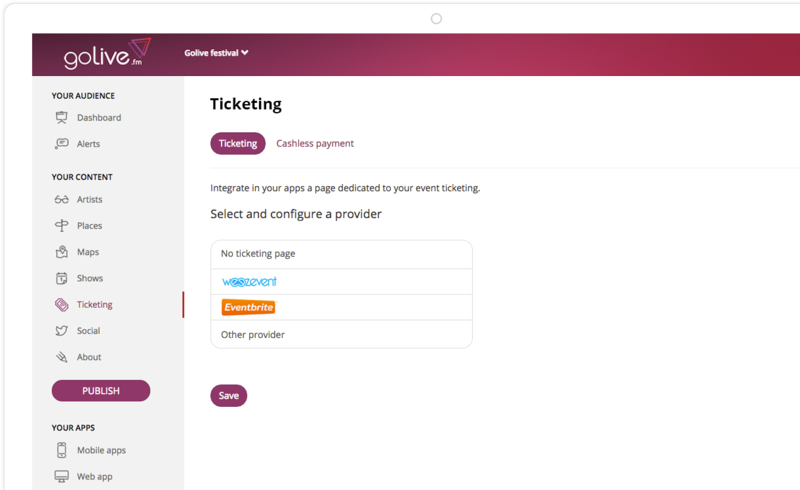 Describe your festival using text, images, and links, and provide info about locations, ticketing, sponsors or other details. 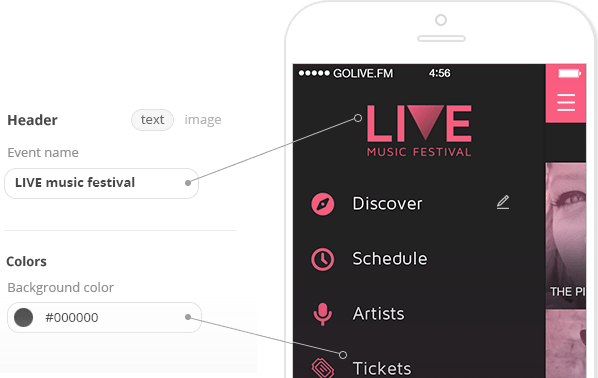 Send app notifications to festivalgoers quickly and easily by entering details on the golive.fm admin console. 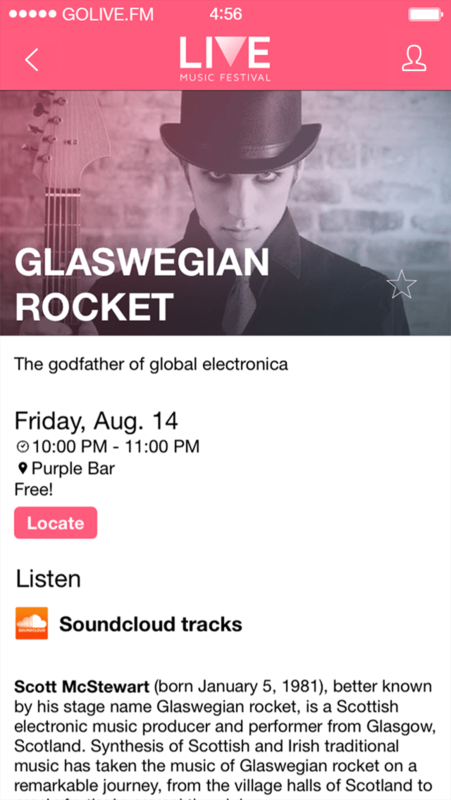 GoExtra users can also schedule messages in advance and target based on favorited artists. 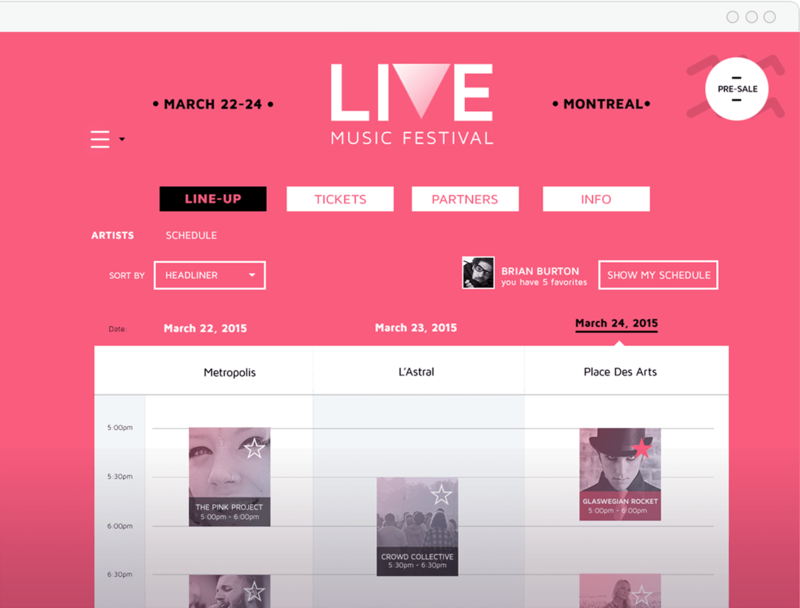 Give fans an easy way to browse your festival’s schedule by date or venue. 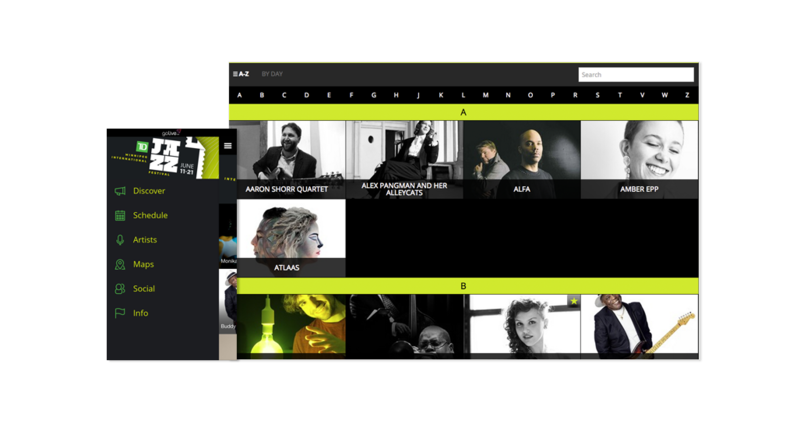 From headliners to up-and-comers, fans can see who’s playing, browse artist profiles, listen to their music, watch videos and add acts to Favorites. 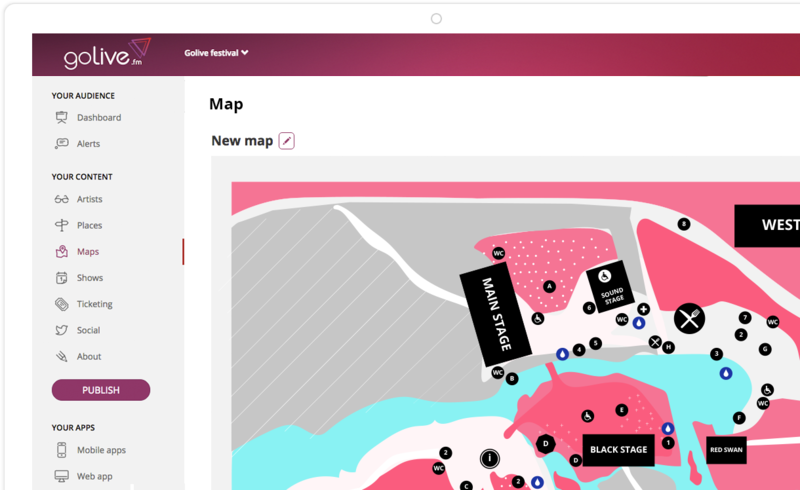 Complete your artist profiles, enter your venues, schedule your shows, upload a map, paste your social links and describe your festival. 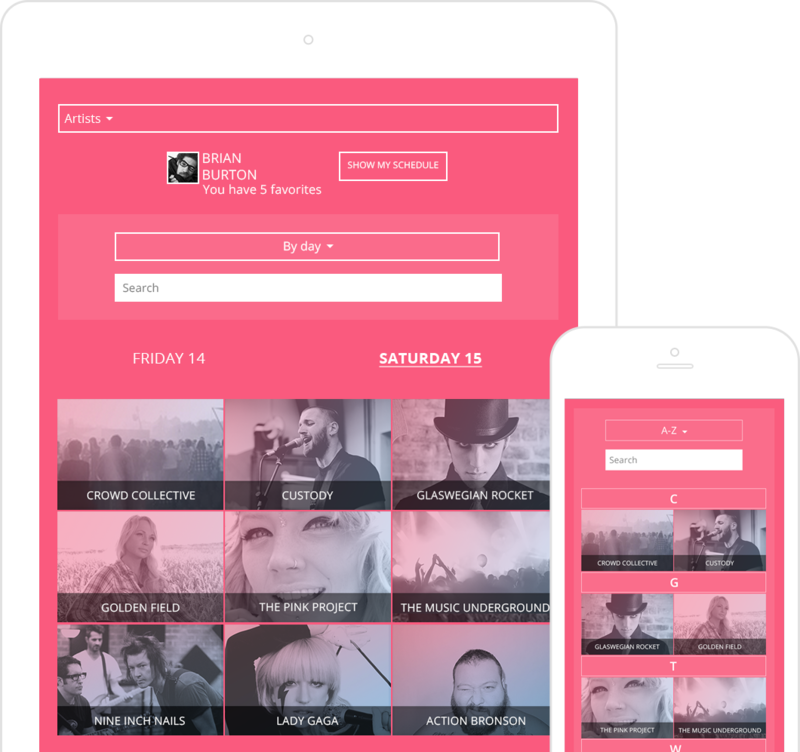 Golive.fm apps are highly customizable. 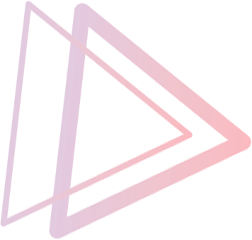 Colors, backgrounds and other design elements can be adjusted, with 48 preset fonts, to choose from.  Or upload your own special font to create a unified brand experience. 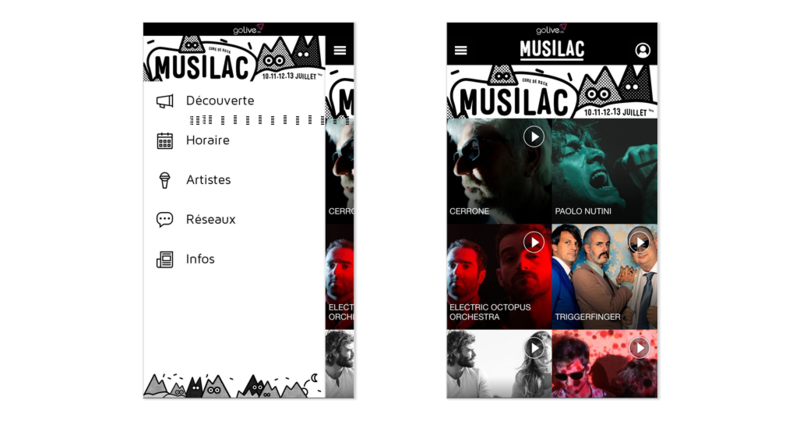 Describe and label your app, upload your icon and preview the look. If you need to tweak, go ahead. 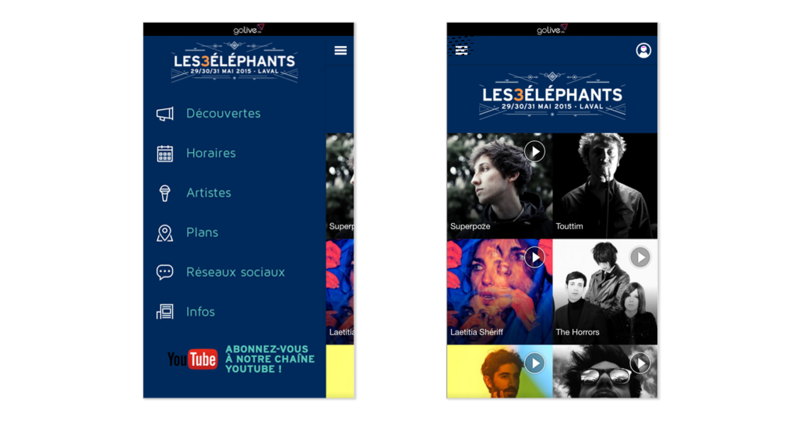 When you're done we'll deploy your new app on the App Store and Google Play.  Have you ever tried to embed a YouTube video on a website? 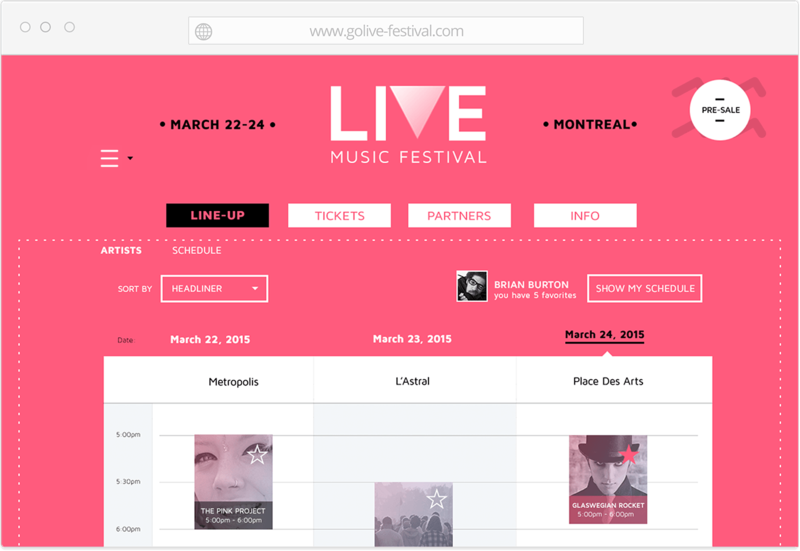 Well, embedding the golive.fm festival schedule on your site is just as easy. 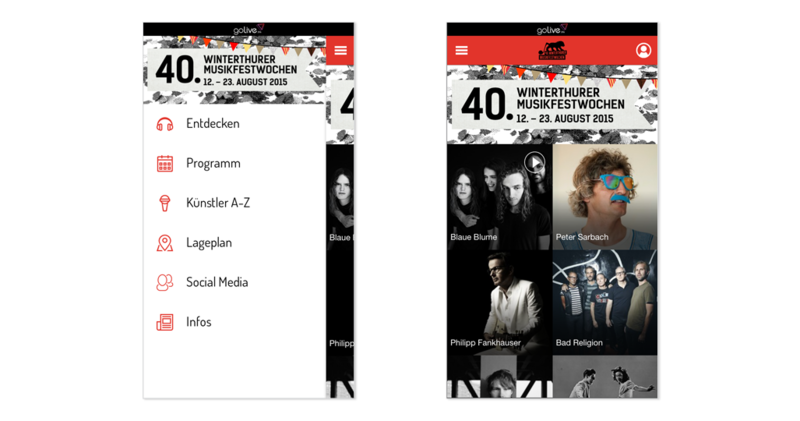 mobile app and web schedule. 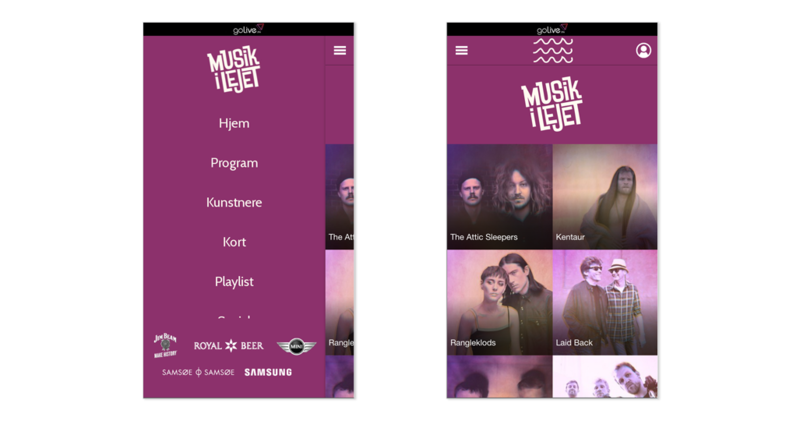 build apps and web schedule embeds. 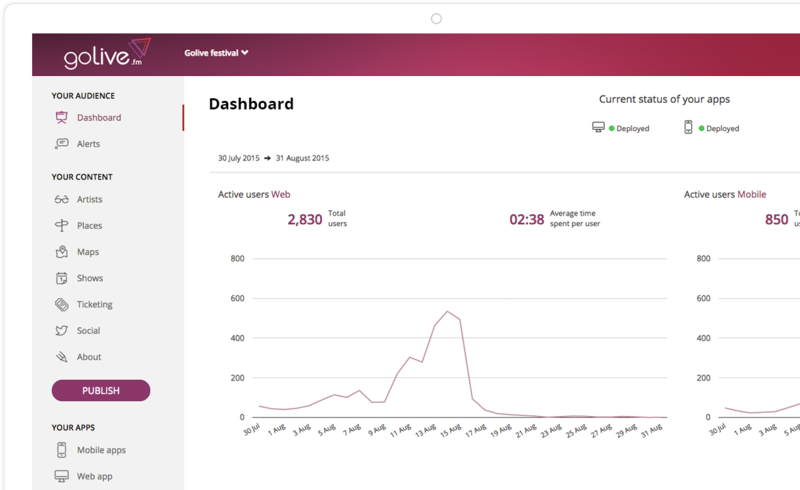 An issue building your app or web schedule? 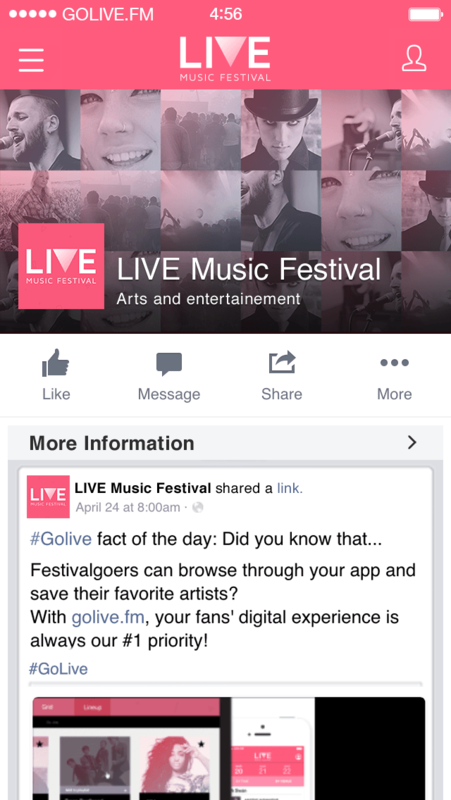 Let us know, golive.fm provides awesome personal support. 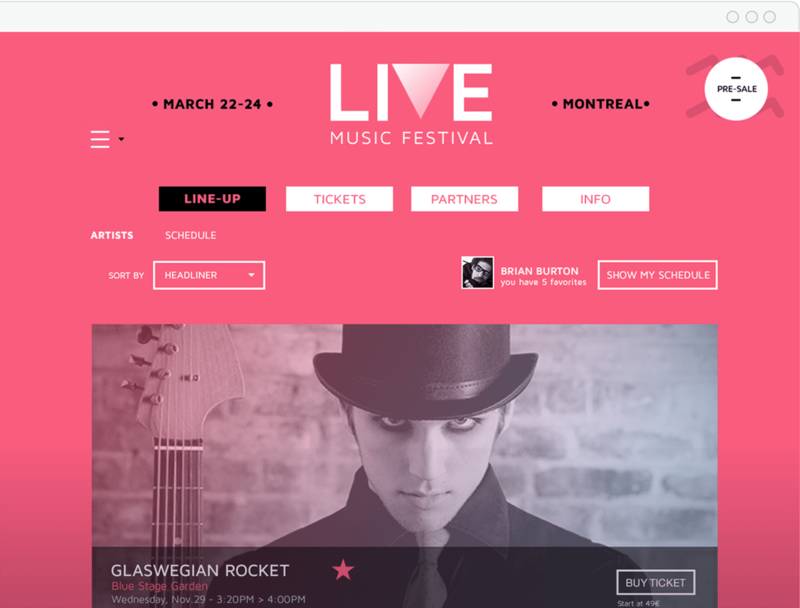 Fill our CMS with info on your artists, venues, and shows. Apply a look and feel to make it your own. Use our checklist to make sure everything is okay. 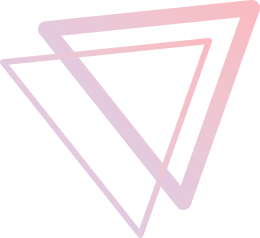 We submit your apps for you. 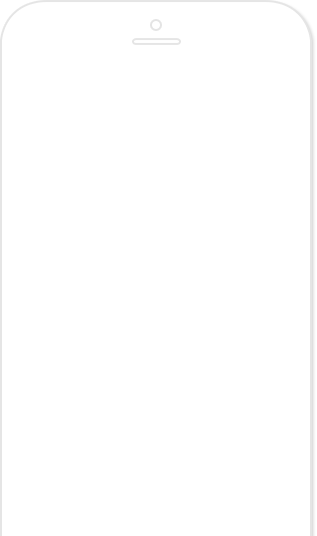 Wait for the App Store approval. 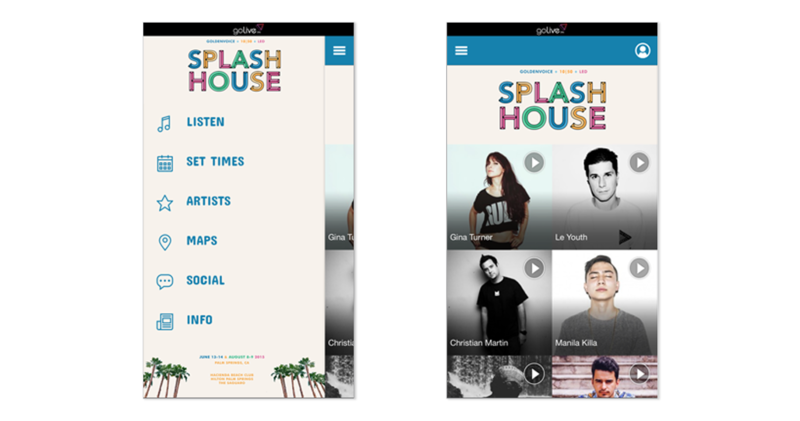 The golive.fm platform is really easy to use. 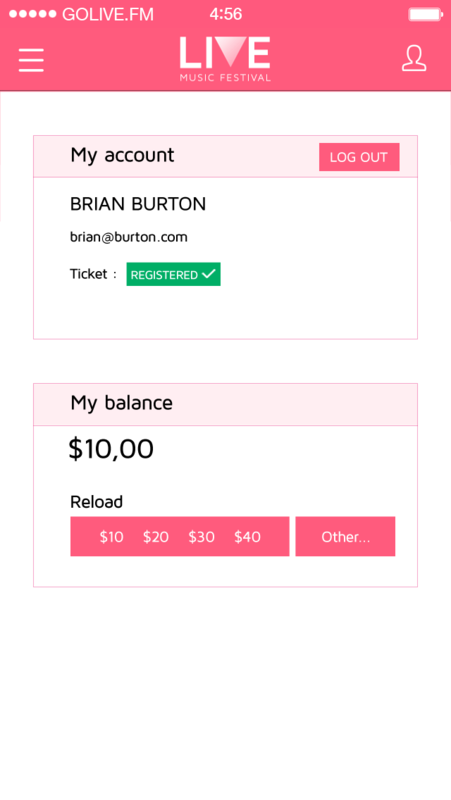 It's intuitive and we can customize it with a few clicks. It saved our precious time! 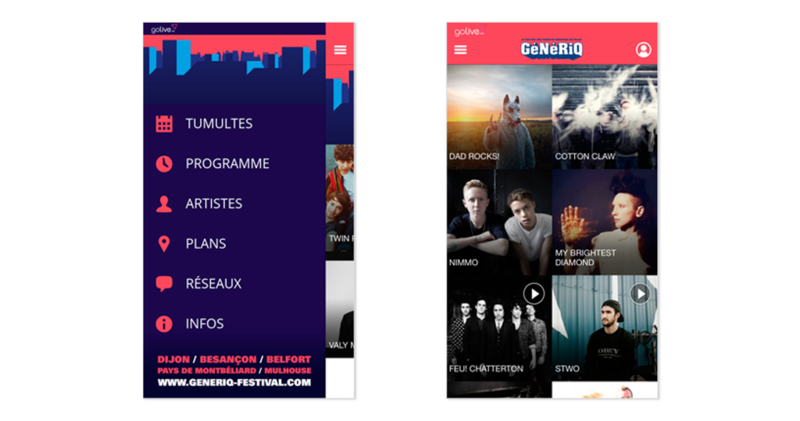 The festival is over, was a great success and we had only good feedbacks about the App!" 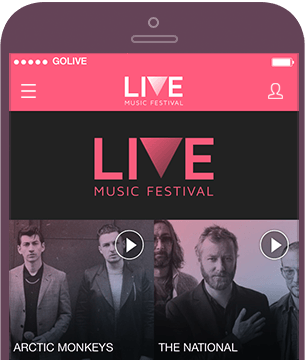 Golive.fm runs on the Greencopper technology that powers some of the planet's largest music festivals. 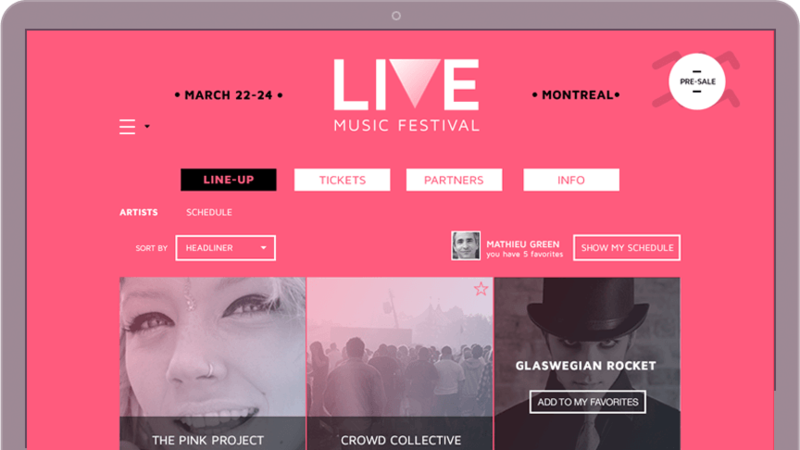 We're already a big part of 300 festivals in 25 countries, and golive.fm is the self-serve formula we've developed for event organizers operating on tighter budgets.